Is Chronic Drinking a Risk Factor for Dementia? A large study in France examined the link between chronic heavy alcohol use and the risk of dementia and early onset dementia. Researchers have concluded from a large cohort study that chronic heavy drinking can lead to early onset dementia in an article published in the British Medical Journal on February 2018. 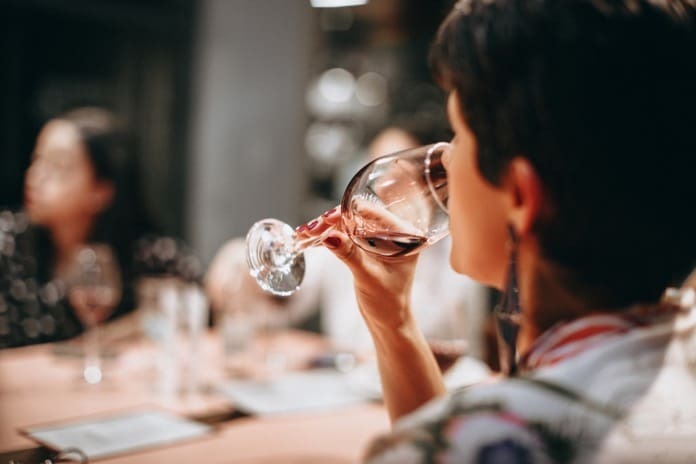 The study recommends that individuals who are heavy drinkers should be provided with screening tests to detect the illness and recommended intervention strategies to reduce alcohol consumption. A research study conducted in France on 31 million people has brought to light the fact that there is a clear association between alcohol use disorders and all types of dementia even with controls for confounding factors. Chronic heavy drinking, as defined by the World Health Organization (WHO), refers to consuming 60g of pure alcohol per day for men and 40g a day for women. This translates to roughly six glasses of wine for men and four glasses of wine for women. The study used data from a French national hospital discharge database and did not have any funding. It was seen that over a five year period between 2003 and 2013, there were 31.6 million people over the age of 20 years that were discharged from a hospital with dementia. The prevalence of early-onset dementia, occurring before the age of 65 years was one in 20. It was seen that during the same period of study 945,512 cases of alcohol use disorders were diagnosed as well wherein in 86% of the cases, a diagnosis of alcohol dependency was recorded according to ICD-10. Further to this, it was seen that in 3% of the cases, dementia occurred from alcohol-related brain damage. In 5% of the cases, other alcohol-use related disorders were seen. The strongest association between alcohol use disorders was with early onset dementia, with as many as 57% of cases having a strong association. The researchers conclude that the strongest modifiable risk factor for dementia is alcohol use and if brain damage from alcohol overuse was excluded, there was still twice the risk of vascular and other dementia occurring in those with alcohol use disorders. Other independent risk factors for dementia include hypertension, diabetes, smoking, hearing loss, depression, and low education, which have also been correlated with alcohol use disorders. The study highlights that the burden of dementia occurring due to alcohol abuse may have been previously underreported and is greater than that arising from other known risk factors including depression, hypertension, and smoking. Reference: Wise, Jacqui. “Large study is “robust” evidence of link between chronic heavy drinking and dementia.” (2018): k814.